Sapa is a major tourist destination in North Vietnam and a natural starting point for discovering the unique mountainous area, including the Hoang Lien Son mountain range, and Mt Fansipan – Indochina’s highest peak at 3,143m. The region is also home to five different hill-tribes, each with its own distinct language, dress and cultural values. Some of the villages, especially those located deep in the remote parts of the mountains, are still largely untouched by modern life. 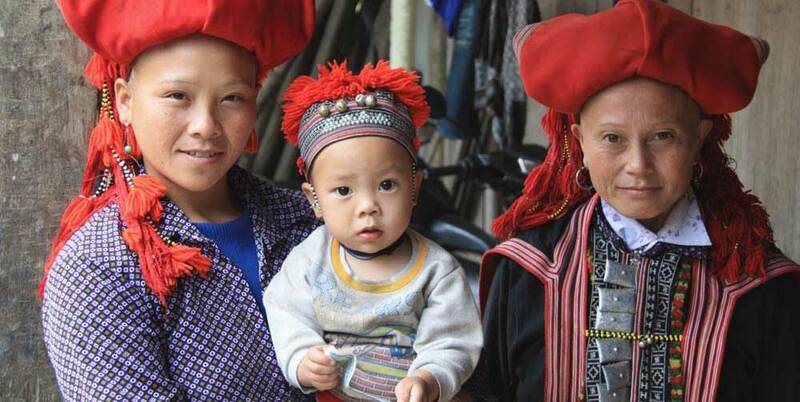 The main attraction for tourists visiting Sapa is to visit the ethnic minority villages. While there are many opportunities to experience the hidden trails, breathtaking scenery, fascinating local culture and way of life of the mountainous people. There are few options for accommodation outside of the hotels in Sapa town other than sleeping in local houses or in tents outside one of the villages. Here began our idea of building Topas Ecolodge. The Ecolodge is the only one of its kind in Vietnam and has a perfect location – situated atop two cone formed hills, set deep in the spectacular Sapa valley of northern Vietnam. Topas Ecolodge is based on sustainable principles to ensure minimum impact on the surrounding environment. We employ people from nearby villages and use local products and goods in order to bring economic benefits to the community. We also use a wastewater facility to avoid polluting the area. It all started in 1993, when Danish travel firm Topas Travel began arranging tours to the area in cooperation with a local Vietnamese family. Through this partnership, the idea for Topas Ecolodge was born in 1999. After investigating the area and applying for permission the building project was launched in June 2003. The main idea when we first started to consider building the lodge was to create a comfortable base near the minority villages, giving guests the option of a comfortable stay in a remote area, close to local life. A fully serviced, luxury five star hotel did not seem appropriate. So we built a simple lodge that would have minimal negative impact on the natural surroundings. Topas Ecolodge opened in April 2005, with no electricity, no mobile reception and no internet. Much has happened since. Topas Ecolodge consists of 33 stylish chalet-style stone bungalows in local white granite from Hoang Lien Mountains each with its own spacious balcony overlooking an expansive vista of towering mountain peaks and stunning, rice terraced valleys. Due to our visitors privacy and quiet, we do not have entrance for day visitors. Topas Ecolodge is not to everyone’s taste and it is important to us that guests understand the ways in which we differ from standard hotels before making a booking. We are situated 18 km outside Sapa town and the bus journey takes approximately 45 minutes. We call it an “adventurous bus ride” mainly because the road condition is fairly poor in places and because you’ll meet many of the ethnic minorities of this area and probably a few buffalos. We call ourselves a ‘lodge’ because we lack some of the basic features and services of a standard hotel. Our bungalows have no TV and no internet connection, enabling guests to completely escape from everyday life and immerse with nature. For tranquil relaxation, we offer an infinity pool complete with breathtaking views of the mountains and valleys and a spa specialising in traditional Red Dao herbal baths. Since we are committed to community development, our employees are friendly young people from the local minority tribes with varying degrees of English proficiency. We ask guests to be patient and be assured that there is always someone on site able to help with any language barriers. Due to our mountain location, sometimes the weather is clear and sometimes it is cloudy, and after a heavy rainfall it can be very muddy. At times we experience power cuts and during the rice planting season we have some struggles with our water supply. However, we have a very unusual location with a spectacular view and lots of unique trekking and mountain biking trails in our backyard. We invite people with an open mind and adventurous spirit to experience Vietnam in a different way and to escape the busy city life for a peaceful and authentic mountain getaway. At Topas we believe that both the environment and local community should benefit from our business. Rather than making a token donation here, or planting a couple of trees there, we are committed to producing real sustainable benefits. Sustainability has been at the front of our minds since we conceived the Ecolodge. We have worked with DANIDA (Denmark’s development cooperation, under the Ministry of Foreign Affairs) to make the lodge a showcase for sustainable tourism in remote areas. Hi There! My name is Hubert de Murard, and I am a hotelier from France and Lodge Manager at Topas Ecolodge since 2016. Working and living in the Northern Vietnamese mountains with my wife, Zaza, who is a H’mong from Sapa and our two children, is a fantastic experience. Our team and I will welcome you at our private hilltops and hopefully make sure you get a memorable and unique experience. I hope to meet you during your stay and see you soon! Topas Ecolodge lies within the boundaries of Hoang Lien National Park. The park is located in Lao Cai province and stretches south from just outside Sapa town. At present, we are working with three different farmers all within a radius of 15 km and a rice husker. 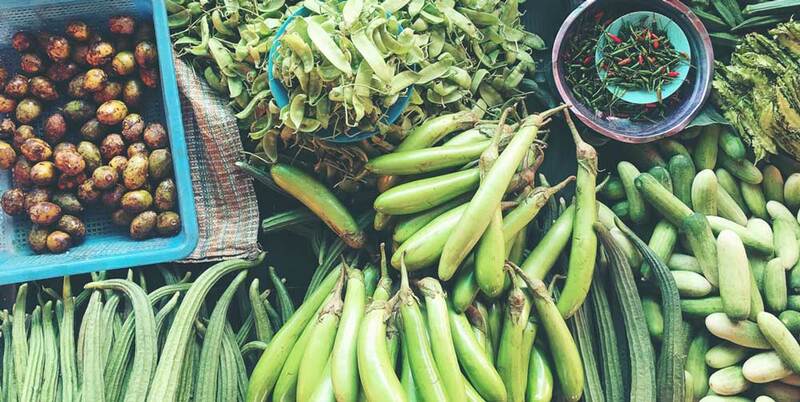 Over time, we plan to expand the project and negotiate contracts with more local farmers. At Topas we believe that both the environment and local community should benefit from our business. Rather than making a token donation here, or planting a couple of trees there, we are committed to producing real sustainable benefits.